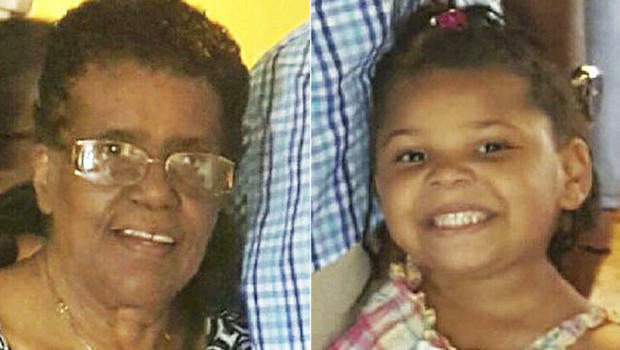 A New Jersey woman and her 5-year-old great-granddaughter who have been missing have finally been found alive in the rural woods deep in Virginia. They had apparently been stranded there for days after disappearing on a road trip, authorities said. 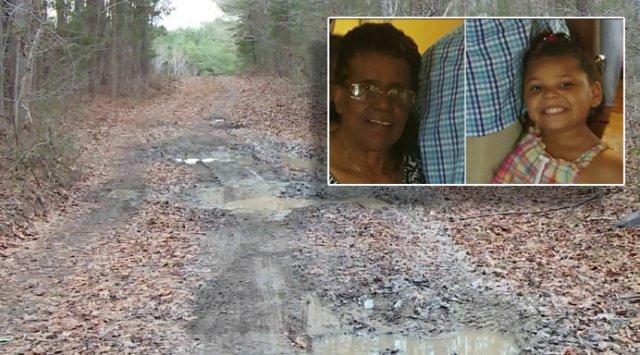 Seventy-one-year-old Barbara Briley was unconscious when she was found Wednesday afternoon with her great-granddaughter La'Myra Briley in Dinwiddie County at least a mile from any paved roads, Virginia State Police said. The girl was reported to be unharmed. It has been reported that the two were near their vehicle, stuck on a dirt road on private property where a man found them. Authorities said it appears the two had snacks and drinks to get by. The two had been the focus of a multistate search and police added that no foul play was suspected in the disappearance. The county where the two were is in an area south of Richmond, Virginia's capital. Barbara Briley was flown by helicopter to VCU Medical Center in Richmond where she was in serious condition. It was reported that the child appeared alert and unhurt and received a medical evaluation before being reunited with an undisclosed family member. The property owner had spotted the car from a distance and when he went to check on it, he found the two seated nearby. Maj. William Knott of the Dinwiddie County Sheriff's Office said the man had seen news reports about the missing travelers, realized who the Brileys were and called 911. Barbara Briley was "not responsive to questions" when authorities arrived, but Knott said the child was "in good shape and very talkative" and has since been reunited with a relative. The Brileys had left New Jersey on Christmas Eve to visit relatives in North Carolina but never arrived. They were last seen last weekend at a gas station in Ruther Glen, Virginia, about 30 miles north of Richmond. Surveillance video from the gas station shows Barbara Briley walking inside about 5:40 p.m. Saturday. She exits and re-enters before eventually pulling away just after 6 p.m., authorities said. Gas station clerk Joanna Strange told local media that Briley came inside to say she was lost and she then helped the woman with her GPS before Briley went on her way. Police said the evidence points to Briley having pulled onto a dirt road, which she then followed a short distance into the woods in Dinwiddie County. There she drove over a small tree and got stuck in a remote area of the property when she tried to back up, according to police. Family members have said Barbara Briley was a former driver for New Jersey Transit and had made the long trip numerous times. They also said she didn't have any known medical issues.